Oh... Those were the times of innovative technology. I always wanted one of those. Particulary one of those earlier Nokia Communicator models, like 9110 or 9110i. Recently I got one. 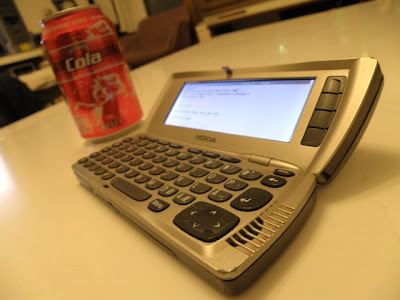 The Nokia 9210 Communicator. But there is one thing you can still do with 9210: THE TEXT ADVENTURES! 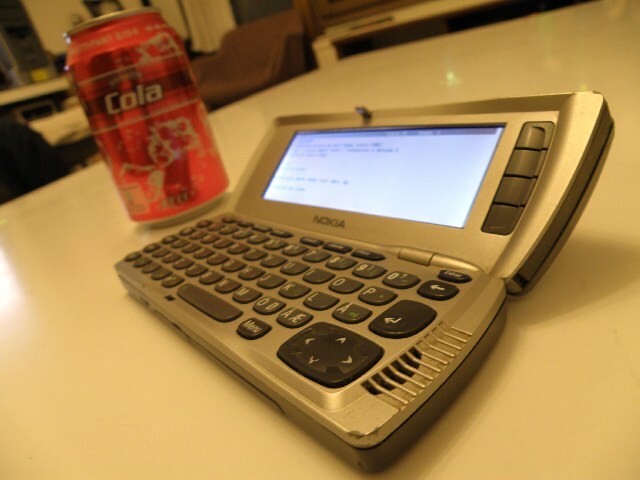 I downloaded Z-machine interpreter for Nokia Series 80 phones. And here we go; Now I am able to play all classic Interactive fiction adventures with real keyboard; And I don't have to sit in front of computer screen. BTW. It also plays Nethack!